Are you thinking about repainting the exterior of your home, but aren’t sure if it’s worth it? Read on to learn the top 7 benefits of repainting. When you think about home improvement projects, you probably think of a kitchen overhaul or a bathroom redesign, not repainting your house’s exterior. But the money you invest to repaint your house has huge benefits for your home value, functionality, and overall personality. Not convinced it’s worth the trouble? Here are seven reasons why you should reconsider. Curb appeal is both an art and a science, as any realtor will tell you. Basically, it’s the all-important practice of improving how your home looks. That’s a big deal if you’re trying to sell your house. Picture the moment you first pulled up to your house. The house had a certain look from the moment you pulled up on the curb, something that got an instinctive reaction when you first saw it. Potential buyers will have that same response when they see your house. That’s curb appeal. And while there are many things you can do to give your curb appeal a boost, nothing quite matches the fresh-faced effect of new paint. Even if you aren’t planning on selling your house anytime soon, a fresh coat of paint boosts your whole neighborhood. You never know–you might even inspire the neighbors to follow suit! That’s why we can say that a fresh coat of paint objectively increases your home’s value. It isn’t just about a potential buyer, though–the state of your exterior paint has an effect when an appraiser comes to look at your house, affecting the final value. And while some home improvement projects will help your resale value, the fact is that not all of these projects recoup what you spent on them. If your home improvement project is actually basic maintenance, like exterior paint or replacing siding, return 80-90% of the project cost. So not only does it make your home better to live in now, it’s a reasonably affordable project that will recoup value later. It’s a win-win. However, an exterior paint job doesn’t just have aesthetic benefits. What you might not realize is that a painting job also has real functional benefits as well. Think of how much abuse your house takes every year, especially living in Tampa, Florida where homes get drenched with heavy rain every day and then bakes in the humidity and heat from April through October. Pressure washing your home at least once a year to get rid of mildew on your siding. The more damage your house takes, the more it eats away at your energy bills by wearing out the siding. The right coat of paint can resist all of these to a certain extent. You see, paint isn’t just used for aesthetics–builders use paint to create a final, protective outer shell around your house to keep the elements out, for a while anyway. If your paint is worn out, you’re losing that essential outer shell. A fresh coat of paint can even help prevent insect damage, like termites. At this point, you might be rolling your eyes. How can a coat of paint keep termites and ants from burrowing into the siding? We’re not saying that a coat of paint acts like a radioactive shield that termites won’t want to eat. We’re saying that a freshly done layer of paint acts as a protective outer shell, which makes it harder for termites to find places to burrow into the siding. As previously mentioned, paint seals cracks preventing water from seaping in and causing wood rot. Termites love soft, wet wood. If you can prevent wood rot, then you’re a huge step toward preventing termites. And if you can keep termites from getting into your house in the first place, that goes a long way towards avoiding major home repairs. 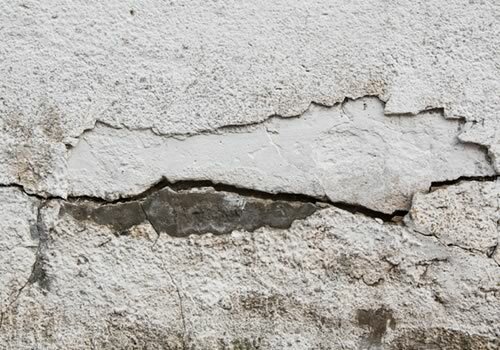 Plus, if you’ve hired a good painting company, they should be able to spot signs of insect damage before you have to resort to major foundational repairs. A fresh coat of paint doesn’t just give you a proactive edge on insects, though–it can reveal other necessary repairs in the process of preparing your exterior for a fresh coat of paint. The truth is, most homeowners are unaware of many small things going wrong with their house before they paint it. 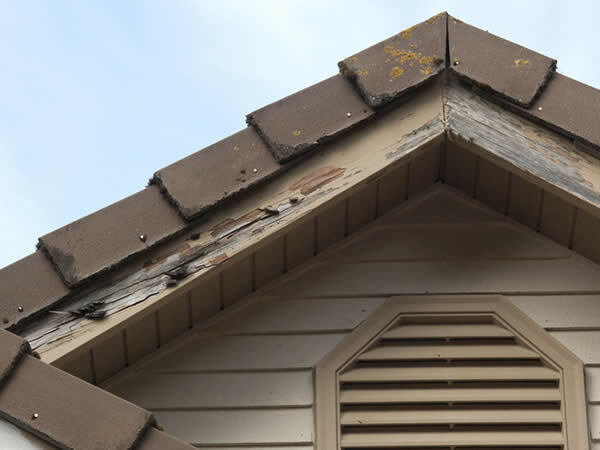 That prep work is hugely informative and can reveal major issues like wood rot and stucco cracks that need to be repaired. While you may not be jumping with joy at the prospect of home repairs, the fact remains that it’s almost always cheaper to repair things than replace them. If your house’s exterior paint is nearing the end of its lifespan, now is the time to check your home for necessary repairs. This is part of why repainting the exterior of your home can go a long way toward improving your house’s functionality. Another reason is…well, basic science. Let’s say your exterior is painted white. White reflects all colors, which helps keep heat out, thus reducing your cooling bill when summer rolls around. But the older your paint gets, the less white it becomes, which means it isn’t keeping out light as much as it used to. That means that, although you probably didn’t notice the slow change over time, you’re probably paying more for heating and cooling than you once did. Do your wallet a favor. Invest in a paint job. Finally, there’s a real psychological benefit to repainting: it can revamp the energy of your home. Color psychology can go a long way toward creating an emotionally healthy home. If your house is painted white, it tends to create a psychological effect of cleanliness, spaciousness, and freshness. If your house is gray, it can give an effect of elegance, steadiness, and mystery. You lose that effect as paint wears out. Yellowed white paint looks dirty, while worn-out gray paint looks drab, cold, and discouraging. You’d be surprised how much a coat of paint can breathe new life into your home. Is Your House Ready for Repainting? Now that you know what a simple paint job can do for your house, what are you waiting for? If your house needs repainting, there’s no time like the present! We offer professional house painting services to the Tampa Bay area. If you’re ready for an estimate, don’t wait. Get in touch with us today.